Mudiyor Kitchen serves food free of cost to the single, widowed and elderly who have no one to cook or care for them, says A Ganesh Nadar. Mrs Mukkandy Nadar is 90 years old. She has three sons -- one lives in Mumbai and two are based in Chennai. Mrs Nadar lives alone in her house in Panickanadarkudieruppu, a small village in Tamil Nadu, since the time her husband passed away a few years ago. Sometimes she would cook and eat the same meal for two days. On days she didn't feel like cooking for herself, young boys in the village would get her idlis from a nearby kitchen. She would visit the place three times a day till one day she felt dizzy while walking and could no longer go there. Now Ramesh, a native of Nepal, comes to her home and delivers her food. "I will live for ten years longer because of the Mudhiyor Kitchen (kitchen for the elderly)," Mrs Nadar tells me. 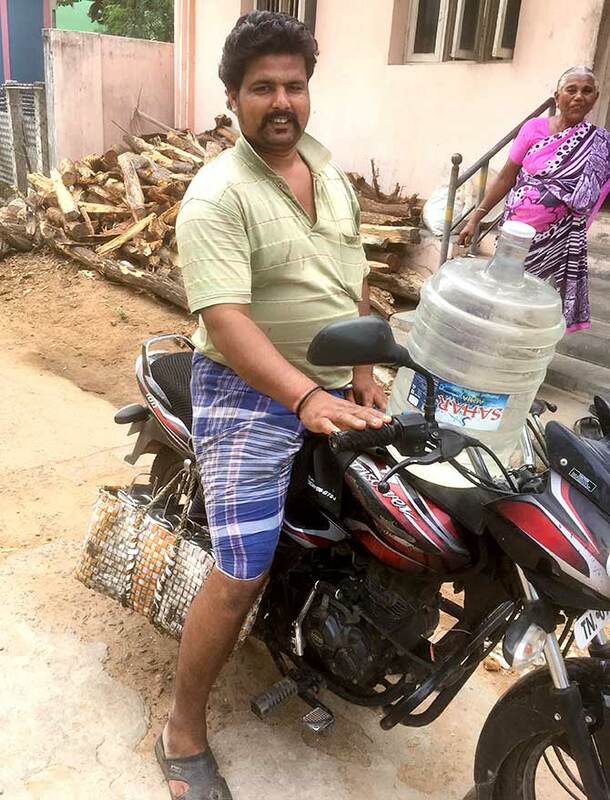 Ramesh delivers food to 17 homes in Panickanadarkudieruppu. The rest, he says, come to the kitchen and eat there. Nadar was a widower whose three affluent sons live in Chennai. Nadar dismissed the maid his sons had employed to cook for him when he discovered that his sons were paying her Rs 10,000 a month. Some months ago, Mr Nadar passed away. There are people like Mrs Mukkandy Nadar and Chellathurai Nadar in every village. Every time Rajarathinam Nadar (left), founder of the Saravana Stores, a leading chain of family-owned retailing shops in the country, visited his home in Panickanadarkudieruppu village, he could see the plight of widows and widowers. In 2015, Rajarathinam Nadar started the Mudhiyor Kitchen in Panickanadarkudieruppu. The small eatery serves food free of cost to the single, widowed and elderly who have no one to cook or care for them. "I live in Chennai, but every time I came here I used to see the elderly really having a tough time. Once the wife passes away," he points out, "there is no one to cook at home. If the husband passed away, the wife wouldn't cook regularly." "God has blessed me with the means to help these people and I decided to do my bit to make the evening of their lives satisfactory." he says. "No one has to go hungry to bed. To qualify to eat at Mudhiyor Kitchen, you have to be old and single. Your financial status does not matter. In the morning, there is idli with chutney or sambar, or brown vermicelli with sugar for breakfast. Once a week, they serve puris with white chana or potatoes. For lunch, there is rice with sambar, curd and one vegetable four days a week. Fish curry is served twice a week. On Sunday, there is mutton. The dinner menu is wheat dosas with chutney or sambar. Since the kitchen closes at 6 pm, you have to order well in time. Some villagers send their servants to pick up food. Latha, who is married and settled in Tiruchi, says she is thankful the kitchen takes care of her mother's daily needs. "I used to constantly worry about my mother as she lives all alone. Now Ramesh comes home thrice a day and he knows that she is all right." "If she is not well, he can inform the village doctor who will send his nurse or he'll personally come and give her what she needs." "I used to have these nightmares that something will happen to mummy and we will not know for days. But now that fear is not there," says Latha. After hearing about the kitchen, villagers in the neighbouring Nalumavadi village approached Rajarathinam Nadar, the architect and financer of this kitchen. 'Fifty girls from your village are married into our village and 50 girls from our village are married into your village. We are your people. How can you discriminate against us?' the villagers asked Nadar. Within a week Nadar agreed to expand the service to Nalumavadi village. Soon, the elderly from Kurumbur village came to him. Within a fortnight, the Mudhiyor Kitchen was serving Kurumbur residents as well. On an average, 80 people either eat out of these kitchens or get food sent to their homes. 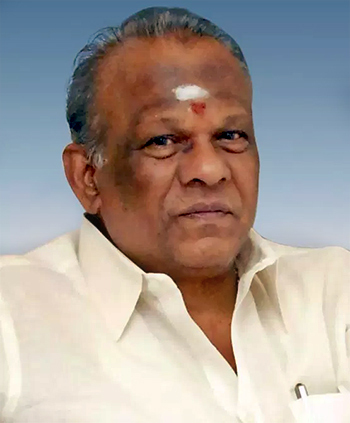 Rajarathinam Nadar's pioneering mission has inspired another Tamil Nadu businessman to do likewise. V Vaikundaraj Nadar of VV minerals heard about the Mudhiyor Kitchen and has started a similar kitchen in his village, Tisaiyanvilay. Let's hope it inspires other entrepreneurs in other parts of the country to follow suit. How to fulfill elders’ expectations?